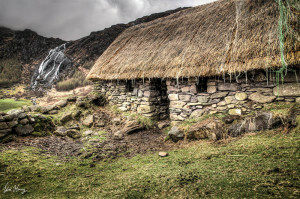 Gleninchaquin Park provides breath-taking landscapes and scenery in which it is a sheer delight to wander around over streams with log bridges, mountain paths with carved steps, through rock passages, along glens and lakes to higher altitude. Marvel at the views overlooking the lakes, delicate green meadows, a spectacular rock face waterfall, it’s force dependent on the amount of rain of the previous days. This magnificent valley makes for a great day out for the experienced walker – high level routes, to those more inclined to the gentler terrain. Ample parking facilities are provided close to the waterfall and the picnic areas. The walks around the waterfall, cascades, streams, woodlands and lakes are accessible for all ages. Please feel free to bring your own lunch basket or even a barbeque for a picnic within the park. Dogs are welcome too, just a little reminder to keep them under control when close to livestock, but there are hundreds of acres to roam freely. 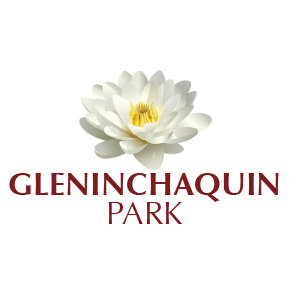 Gleninchaquin Park reopens on 16th March 2019, we look forward to welcoming you all soon. 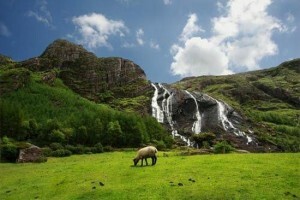 This idyllic valley is perfectly suited for day outings alone, with the entire family or as part of a group. The walk routes around the waterfall, cascades, streams, woodlands and lakes are accessible for all ages. 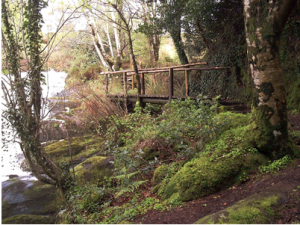 Gleninchaquin Park has six walks to accommodate a range of abilities. Come to the park for a stroll or an exhilarating hike, you can view all our routes before your visit to ensure a great experience. There are so many photo opportunities in Gleninchaquin Park from the landscape to the flora and fauna. We would love to see any photographs taken during your visit. You can submit them through our Contact Us page.